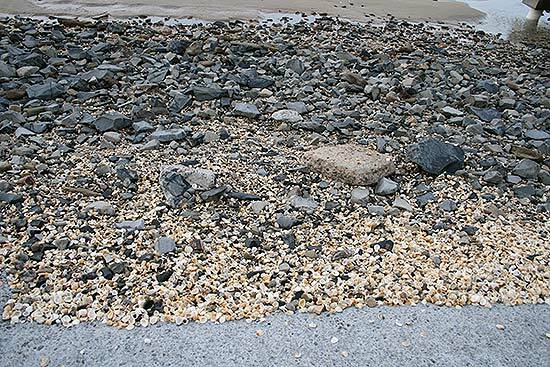 New Year is always the time for exceptionally high tides and this year is no different. 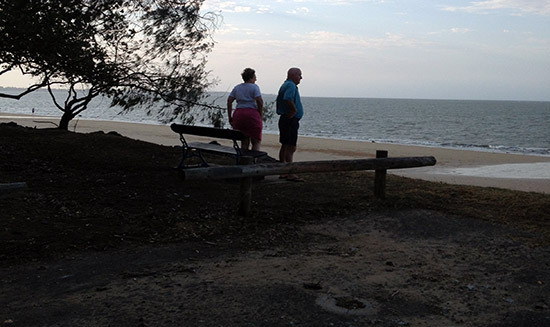 Since Friday the daytime high tides … coupled with the strong northerlies that have a feature of the past few weeks here in Hervey Bay … have been enough to cause some beach erosion and has pushed water onto The Esplanade in several places. 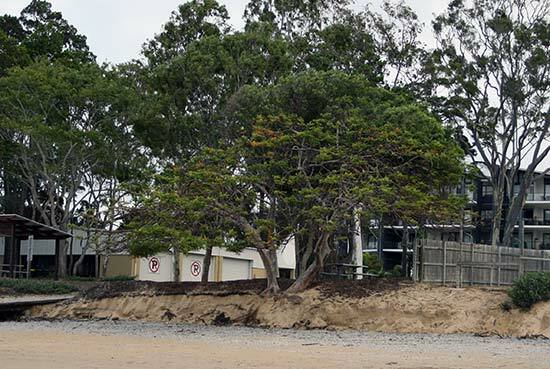 Currently most of the foot access points between Torquay and Urangan are closed due to a sharp drop in the level of the sand and at the peak of high tide water has been coming over the sea wall at Urangan as well as running up the access ramp at Shelly Beach. At Shelly beach the water has come across the bike path and onto the roadway carrying some debris with it. Of course what we’ve seen so far this year is a long way short of the debris and damage left behind by last year’s Australia Day storm.